Cats usually show a peculiar interest in a plant with small white flowers with purple spots that grows spontaneously in gardens and embankments. They sniff it, lick it, bite it, shake their head and rub against their leaves, and while their level of excitement increases, they begin to salivate and the skin on their back suffers small spasms. Several minutes go by and the cats can jump, hunt imaginary mice, show signs of sexual arousal and hold the plant with their front legs while they turn on their back and knock it with their rear legs. Cats seem to have visual and acoustic hallucinations, but at all times seem to be experiencing extreme pleasure. After 5–15 minutes, the effect vanishes and the cats start a cleaning session, they move away from the plant or lie down next to it. They do not rub against the plant's leaves again for at least another hour. ¿Which plant is this? The plant responsible for this response in cats is called Nepeta cataria, also known as cats' plant, catmint (given its strong mint smell), or catnip. However, it is not the only plant with these features: valerian (Valeriana oficinalis), matatabi (Actinidia polygama) and cat thyme (Teucrium marum) are some of the plants that can cause a similar response to that of catnip, but generally with a lower intensity. This response is typical in cats and in some other members of the Feline family. 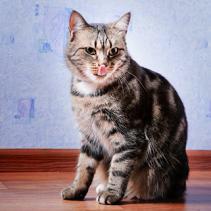 Nevertheless, not all cats react to catnip: 30–50% of the feline population is totally insensitive to it. In part, sensitivity to Nepeta cataria is inherited genetically and depends on a dominant autosomal gene. In part, it varies with gender, age and the emotional state of cats. Both males and females, sterilised or not, can react to the effects of this plant, but females usually show a stronger response. 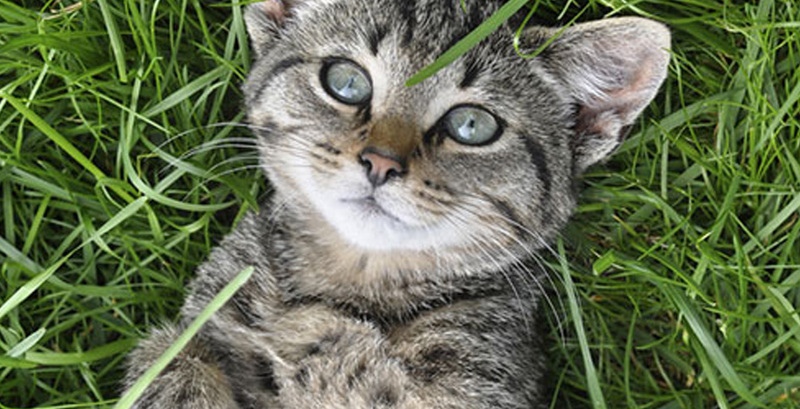 Animals under 2 months of age do not usually show excitement as a reaction to the presence of catnip, and in cats under 6 months of age even a relaxing effect has been described. This implies that in order to know if the cat is sensitive to the hallucinogenic effect of catnip or not, it is best to wait until it is a few months old. Cats who are scared, hurt, transferred to a strange environment or who have temporarily or permanently lost their sense of smell may show little response to catnip or none at all. 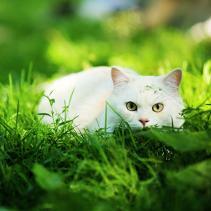 Cats seek catnip actively and they return day after day to rub against the leaves. To this date, no side effects or permanent effects have been described for cats who have been exposed to catnip for long periods. The pleasant effect of this plant and its harmlessness renders catnip an ideal tool to enrich the environment of cats. An increase in the frequency of games that is observed in cats who have catnip toys at their disposal suggests that these animals experience an improvement in their level of well-being. An animal that plays is an animal that is physically and mentally healthy. Thus, you can have catnip in your garden or you can give your cat some toys that have dry leaves of this plant or that have been sprayed with catnip spray. The only inconvenience to this type of environmental enrichment is that it may be ineffective because of the cat belonging to that part of the feline population who is insensitive to catnip.